A couple of weeks ago, I hopped on my bike and rode around the corner to MOTAT. I hadn't been for a while and I wasn't planning on looking at the restored machines. My destination was the Walsh Memorial Library, a part of the site I had never previously visited, where there was a talk based on The Art of Industrial Design: Gifford Jackson and the Auckland Rapid Transport Scheme. Jackson was a remarkable man and a visionary designer, a wayfinder for his craft in New Zealand. His work was summarised in an exhibition at The Depot in Devonport (where he was born) in 2014, not long before he died. 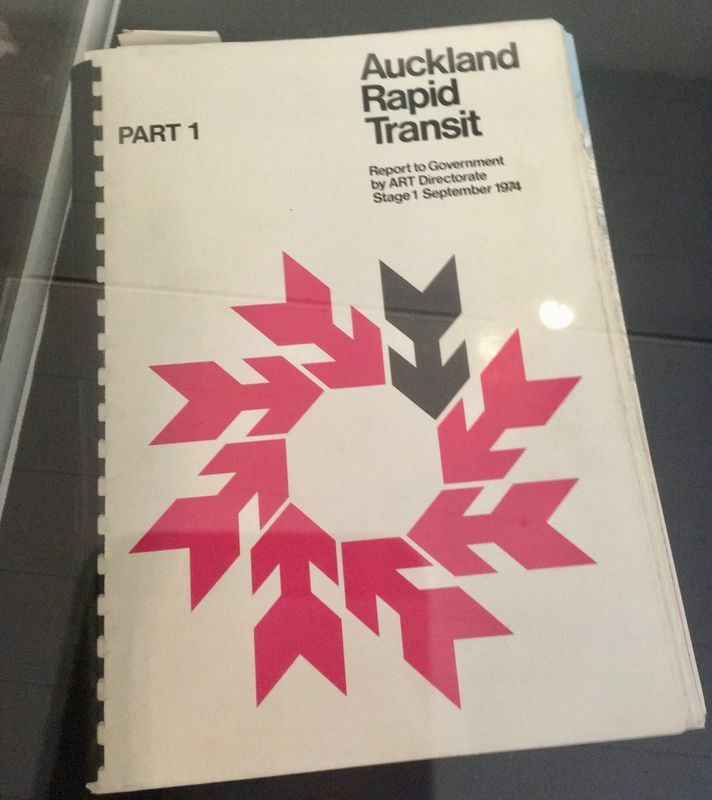 But what the Walsh library has, in an exhibtion put together by Rachel Bush, is something that hasn't been seen before: his original drawings for the rapid rail system Auckland nearly had in the early 1970s. The drawings were kept by Richard Croker, a New Zealand Railways engineer who was seconded to the team of 35 who worked on the ART project from a single office at 149 Parnell Road. The office disbanded after the project was canned by the new Muldoon government in 1975 and he was basically the last one out who turned off the lights. He came across the drawings while doing an inventory of what was left behind, thought he'd better hang on to them and has now donated them to the library. After an introduction to Jackson's work by his longtime friend Michael Smythe (the motel classic Feltonmix showerhead! the Bic filing trays! the always-clothed glamour photography! ), Richard stood to speak. It was a revelation: I had never realised quite how ready-to-go the whole thing was. 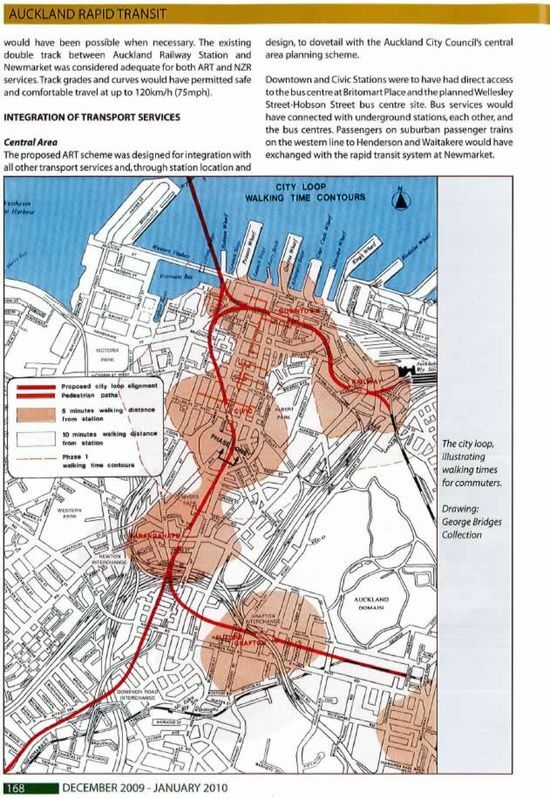 Having researched population density, they even had draft timetables in the report that went to government. What they came up with in terms of design, in central Auckland at least, was not dissimilar to the City Rail Link now, finally, under construction. Mayor Robbie had achieved his plan for a sewage treatment plant at Mangere against the furious opposition of the establishment – and of the Herald – but he didn't get his rapid transit plan. There was actually some disagreement in the room at Motat as to whether it was really Muldoon who cancelled the whole thing, or the Labour government after Hugh Watt resigned as Transport minister to become out High Commissioner in London. But the general view was that it was Muldoon. "As always," Richard observed, "there was the question of who should pay." Hearing Richard talk about the life and death of the project added a human element to the whole story. Here were these guys who'd come together to create something really good, the best they could make it – and they never got to see it built. For the rest of us: well, imagine Auckland without a sewage treatment plant – and imagine Auckland with a working rapid rail network. Illustration of a six-car unit at the proposed Auckland downtown station. The train units were to have three carriages connected by pass-through doors.Two such three-car units could be joined to provide six carriages during rush hour. The control car and passenger carriage viewed from the platform. The trains were to be run by electrical overhead wires, not a third rail. With design of the seating Jackson made a special study of ergonomic factors in relation to passenger comfort. This illustration shows a pair of passenger seats with the vibrant purple of the interior look.